Penny has been a member of the Board of Directors of the Chebeague & Cumberland Land Trust for 13 years and served as President of the Board for 7 years. As President, Penny led the organization through a national accreditation process and CCLT became the 12th all-volunteer land trust to receive the national award. Penny also serves on the Maine Land Trust Network Steering Committee which sets goals and policies for the land trust community throughout Maine. As a member of the Town of Cumberland Conservation Commission for 10 years, Penny and led efforts to inventory vernal pools and New England Cottontail populations in the town. She has received awards for her environmental work from the Natural Resources Council of Maine, EcoMaine and the Cumberland/NY Liions Club. Penny has a Law Degree and a Masters in Environmental Studies from Vermont Law School and a Bachelor of Arts degree from Bowdoin College. 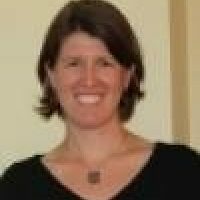 Prior to coming to Maine, Penny worked for the MA Office of Environmental Affairs, Environmental Protection Agency Region I and a lobbying firm in Washington, D.C.. She currently lives in Cumberland with her husband and three children and is a stay at home mother. Penny enjoys outdoor adventures with her family and sharing her environmental interests with the local community. 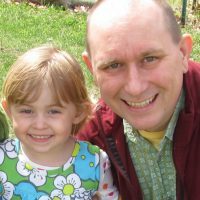 Will Everitt is the Development Director for Friends of Casco Bay. Since graduating from Rutgers College, Will has been a dedicated community organizer, working with environmental and social justice groups from Alaska to Maine. He moved to Maine in 1999, opening Toxics Action Center’s office in the state, helping residents protect their families from pollution and toxic pesticides. During the 2010 election cycle, Will was the State Director of the League of Young Voters, returning to Friends of Casco Bay in November. When he isn’t at work, you’ll likely find him hiking somewhere in the wilds of Baxter State Park. He lives in Portland with his wife and daughter. Brigitte is Executive Director of the Orchard Foundation. She is currently on the Maine board of the Conservation Law Foundation. She previously worked as an assistant editor for economics at Cambridge University Press in New York City and as a researcher for Bower, Rohr & Associates in Hanover, NH, an economic consulting firm specializing in regulated industries. Ms. Kingsbury served a term as a representative to the Portland Water District Board of Trustees. She has also served on the boards of the Maine Philanthropy Center, Friends of Casco Bay, the Cape Elizabeth Recycling Committee, the Fort Williams Charitable Foundation Study Committee and the Natural Resources Council of Maine. She received her AB in political science from Brown University, and her MIA in international political economy from the School of International and Public Affairs at Columbia University. Ms. Kingsbury lives in Cape Elizabeth with her husband and two children and spends her free time hiking, sailing, skiing and mucking about in a backyard pond. Channa is the oldest of three girls, raised in New Sweden, outside of Caribou. Her father spent 28 years in the Maine Warden Service, with over 15 of those years with the recovery diving team. 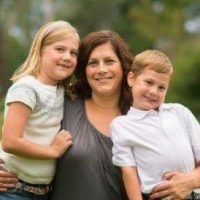 Channa graduated from Caribou High School, Husson College with a BS in Paralegal Studies, University of Maine with an MPA and Thomas Cooley Law School in Lansing, Michigan. Prior to entering law school, she spent two years in AmeriCorps working at the United Way of Eastern Maine, under the direction of Jeff Wahlstrom. After moving back to northern Maine in 2006, and passing the Maine Bar Exam, she began work in private practice with child protection, family matter, criminal defense and Guardian ad Litem work. In 2010, she was hired by Janet Mills as an Assistant Attorney General, working out of the Caribou office and covering court matters from Fort Kent to Houlton. Channa has two children, Ava age 10, and Leo age 7. Alisa Johnson is the Assistant Vice President of Talent Acquisition at Camden National Bank. She previously spent 17 years in higher education, five years with Colby College as the Career Center Director and twelve years at Unity College where her last role was Dean of Enrollment. Alisa has harbored a love of nature and the outdoors from a young age that led her to obtain a Bachelor’s degree in Biology from Wheaton College in Massachusetts. Her first job was studying lobster ecology along the coast of Maine. 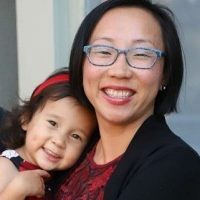 She has also received an MAT degree in science education from the University of Maine and an MS in enrollment management from Capella University. In 2018, she received a Fulbright award to study the connection of higher education and industry and traveled to German and Belgium. Alisa lives in central Maine with her family where they spend summers enjoying the Belgrade Lakes. Suzanne Lafreniere is the Public Policy Director for the Roman Catholic Diocese of Portland. She earned her BA in Philosophy at Loyola University of Maryland and her Juris Doctor from the University of Maine School of Law. She lives in Scarborough with her husband Denis and daughters Lucie and Claire. 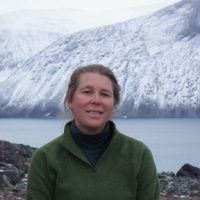 Kate Williams has biology and ecology degrees from Tufts University and the University of Florida, and has conducted field work in marine, forest, and wetland ecosystems across North America. Kate’s research has focused on two primary topics: survey techniques and biases, and understanding the impacts of anthropogenic activities on wildlife. She is currently working at the Biodiversity Research Institute as their Wildlife and Renewable Energy Program Director. Jonathan Wood is a pediatric critical care specialist at Eastern Maine Medical Center in Bangor. Though born in Bangor, he was raised in New Hampshire and only in 2002 “returned” to Maine to take a job as Medical Director of EMMC’s Pediatric Intensive Care Unit. In recent years Jonathan has volunteered as a board member for the Bangor chapter of For Kids’ Sake and for the Maine Migrant Health Program, for which he is currently serving as president. He is an avid outdoorsman who loves to hike, ski, snowshoe, chop wood, haul brush, and, most recently, whitewater canoe. Jonathan received a BA in history from Yale University and an MD from the Dartmouth-Brown Program in Medicine. He and his wife, Robin, live in Hampden, where they enjoy a big back yard and three dogs, who entertain them in the absence of their four grown children.